The full softlithography station, includes everything you need to fabricate molds and replicate PDMS devices directly in your lab. Our pack includes all equipments and support to produce chips autonomously. 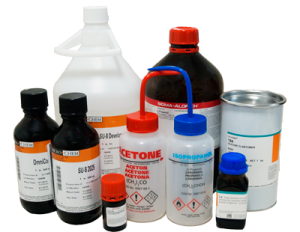 Our soft-lithography station is a turnkey offer, no need to acquire any additional equipment. Basically, only a chemical fume hood and a little working space is required. We adjust the offer, together, to be fine-tuned to your needs. It a complete station with all the main and side equipment ( Oven, Desiccator, Spin coater, UV Lamp, Hot plate, Air compressor, Vaccum pump), all the chemicals (SU8, developper, TMCS, Acetone, Ispropanol, PDMS, adhesion promoter), all the accessories ( Silicon wafers, tweezers, glass slides, Petri dishes, disposable cups, stirring rods, scalpels, etc.) , and all the support you need to be immediatly autonous in your fabrication. Extended support pack: In addition to standard pack our R&D team install the softlithobox directly in your labs, we adapt on site all our microfabrication process to your needs and we train your team until there become ready to fabricate all your microfluidic chips. Our specialists selected and adapted the best instruments to make them work together with reliable process. 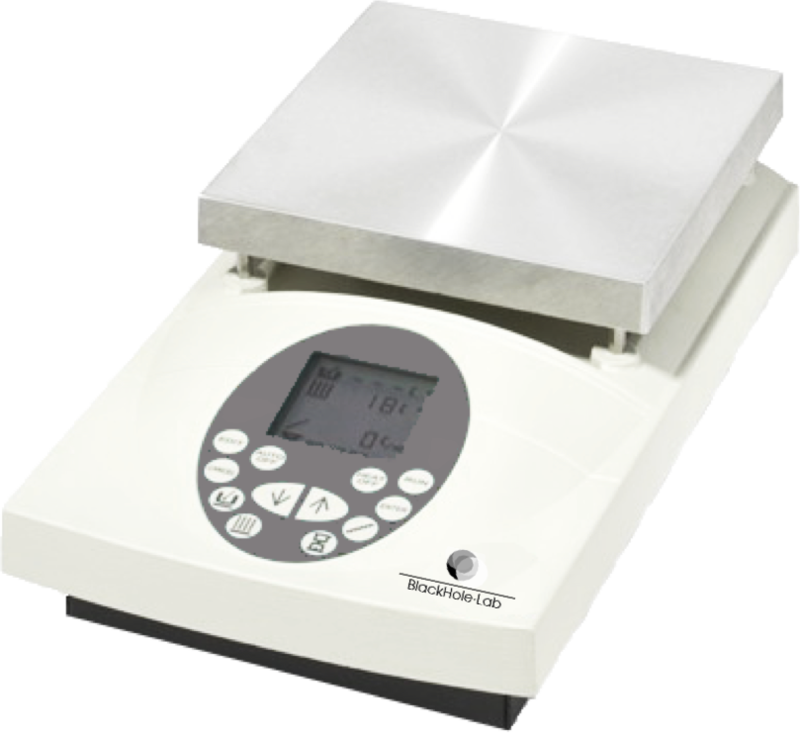 Ensure accurate, homogeneous and stable temperature set points. This digital hotplate device enables to set temperature ramp for heating and cooling down. Make your life easier with its programmable controls which enable to automatize your photolithography process. Its aluminum top plate and its great heating surface area enables to have a wide enough zone where the temperature is homogeneous for an efficiently bake of SU-8 photoresist on a 4 inches wafer. The temperature ramp enables to reduce the mechanical stress inside the photoresist layer. The programmable tool enables to do long photoresist bakes without staying in front of the device. Natural convention drying oven. Frontal panel with bimetallic fluid expansion probe thermo regulator. 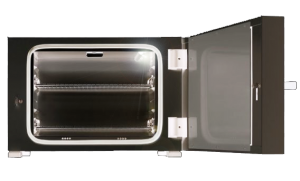 This oven sized for 4 inches wafer will allow you to cure your PDMS efficiently. Size adapted to a Petri dish and to heat two molds at one time. Its minimum footprint enable fast pre-heating and small electric consumption. It is a really movable device and can be install everywhere. An unique UV LED exposure and masking system (in option) with available light sources at wavelengths of 365 nm or 385 nm. 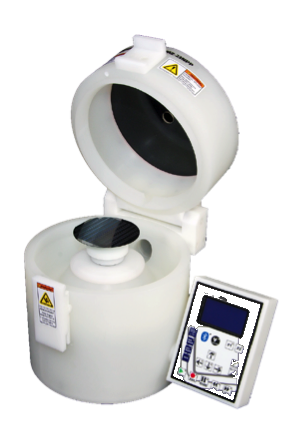 This is a very compact table-top system capable of exposing a wafer surface area of up to 4 inches in diameter. 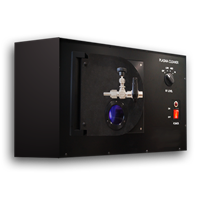 This automatic UV system is compatible with hard (physical) or soft (proximity) masking contacts, and features variable mask to substrate distance control. 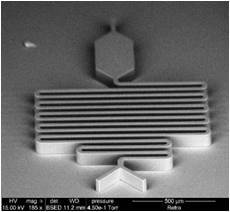 With 2μm resolution, the device is particularly well tuned for soft-lithography applications. The exposure in flash enables to reduce the internal mechanical stress of the photoresist. Its little size enables to install it everywhere you want, especially outside a clean room. 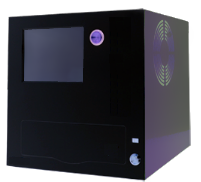 The first plasma cleaner designed specifically for PDMS bonding, this automated plasma enable to easily fabricate your PDMS microfluidic device. Thanks to its vacuum feedback loop, this plasma cleaner automatically regulate the vacuum inside the chamber without need of hand tuning. This plasma has been specially optimized for PDMS bonding, with glass or PDMS. 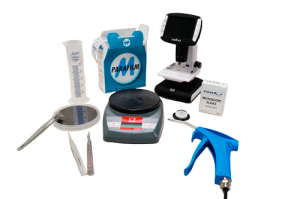 Its unique vacuum feedback loop enable you an automatic and reproducible PDMS bonding. This spin coater is compact and packed with advanced features. It works with wafer up to ø150mm and 5″ × 5″ (127mm × 127mm) substrates. This spin coater is perfectly fine-tuned to do controllable and repeatable Su-8 photoresist layer. Its compact size with the little panel control attached make the device really movable. The product has been widely use for SU-8 photoresist coating. The hole on the lid enables to do dynamic SU-8 coating. If your project is almost clear in your mind, you can fill our contact form below.